PyCharm — the cross-platform integrated development environment for Python developed by JetBrains — works well on Linux platforms. It's installed from an archive file, although JetBrains also supplies a snap package for Ubuntu. These instructions were written for PyCharm 2018.3. They will work with any Linux distribution. PyCharm requires a computer with a minimum of 4 GB RAM (8 GB recommended) and 2.5 GB of disk space, as well as a display with a minimum resolution of 1024-by-768 pixels. You must already have installed either Python 2 (2.6.x or 2.7.x series) or Python 3 (3.4.x or higher). JetBrains recommends a 64-bit Linux distribution and the KDE, Gnome, or Unity desktop environments. The installer bundles a 64-bit version of JRE, but not a 32-bit version, so if you're on a 32-bit distribution, you'll need to install 32-bit JRE separately. The universal method for installing PyCharm involves downloading the zipped archive then unpacking it into the /opt directory. 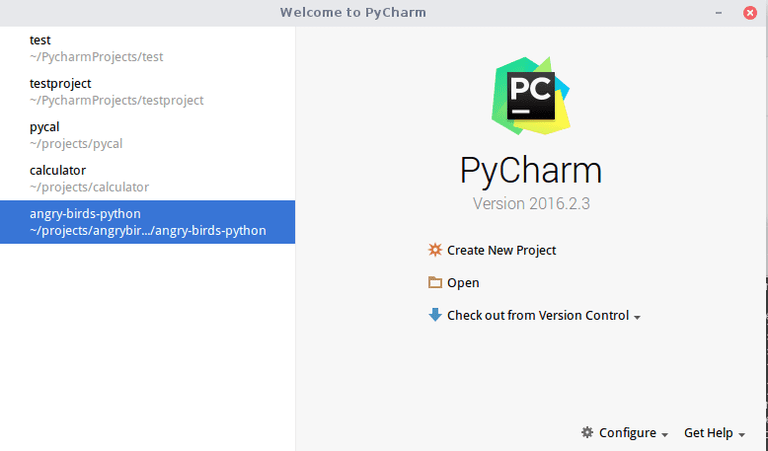 Download PyCharm from the JetBrains website. Select a local folder for the archive file wherein you can execute the tar command. Complete the first-time-run wizard to get started. Then run pycharm-community in the terminal. Instead of pycharm-community, you could also install snap packages for pycharm-professional or pycharm-educational, if you're appropriately licensed for them.